Ever wonder how to improve on the perfection of a perfectly ripe tomato slice, a refreshing salad of organic greens or a piece of imported Italian mozzarella? 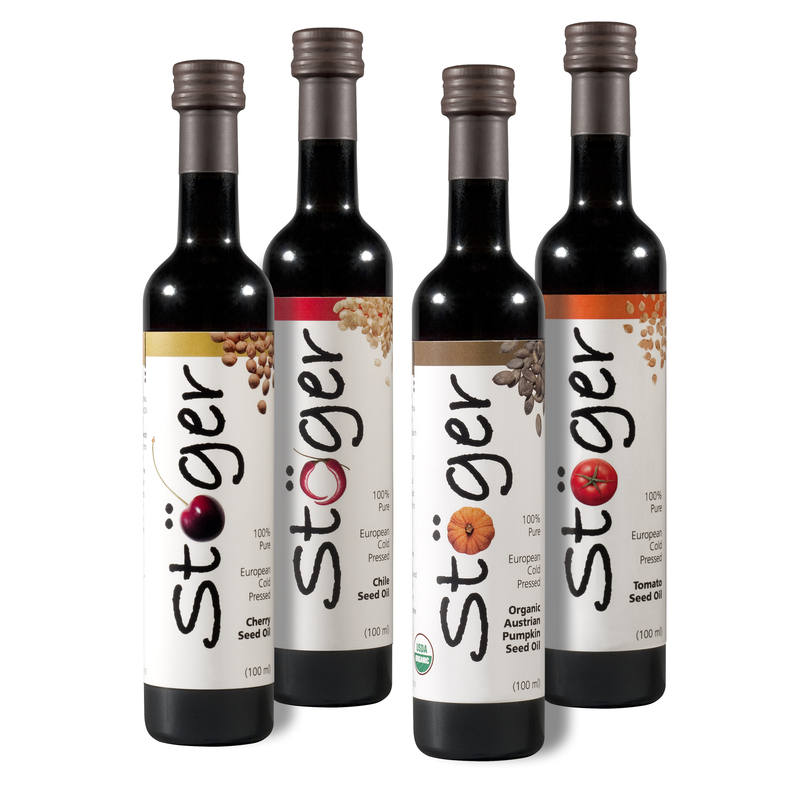 Stoger offers four varieties of pure seed oils (www.culinary-imports.com) that add authentic flavor, color and intensity to the most simple dishes in addition to making a delicious dip for bread and crackers for the appetizer portion of your meal. Our favorite is the Organic Pumpkin, rich and earthy, although Tomato Seed, a very spicy hot Chile Seed and Cherry Seed are also worthy of keeping on your kitchen table. Stoger Pure Seed Oils are the perfect way to add color, excitement and complementary flavors to your menu offerings. With just a drizzle of Stoger Seed Oil, even the ordinary becomes something special. Stoger Pure Seed Oils – Gotta Love It!